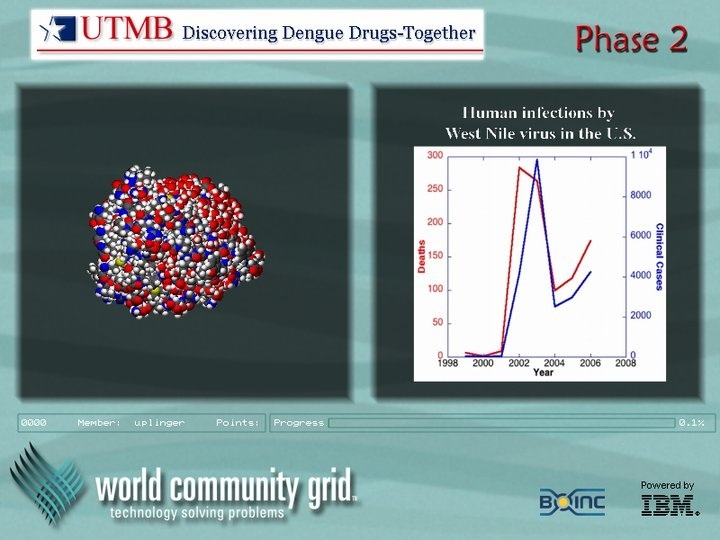 The Help Stop TB (HSTB) project uses the massive computing power of World Community Grid to examine part of the coating of Mycobacterium tuberculosis, the bacterium that causes tuberculosis. We hope that by learning more about the mycolic acids that are part of this coating, we can contribute to the search for better treatments for tuberculosis, which is one of the world’s deadliest diseases. In recent news for the HSTB project, Dr. Athina Meletiou has now officially graduated. It was a lovely day, finished off with some Pimms and Lemonade in the British tradition. 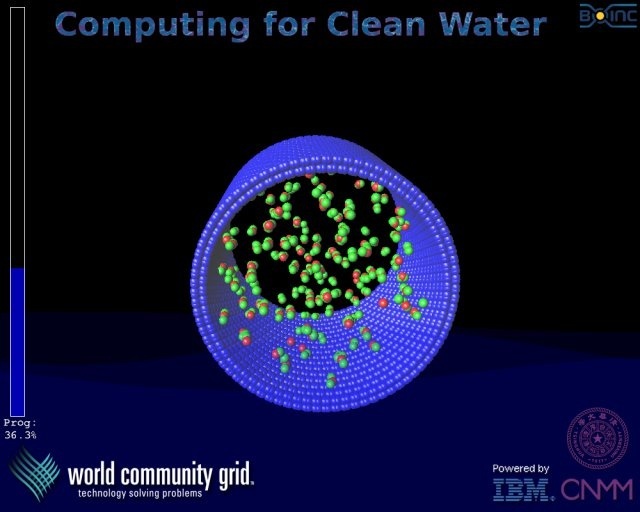 We are still looking for suitably qualified chemists, biochemists, mathematicians, engineers and computer scientists to join our team, especially to develop the new analytical approaches (including machine-learning approaches) to understand the substantial data generated by the World Community Grid volunteers. 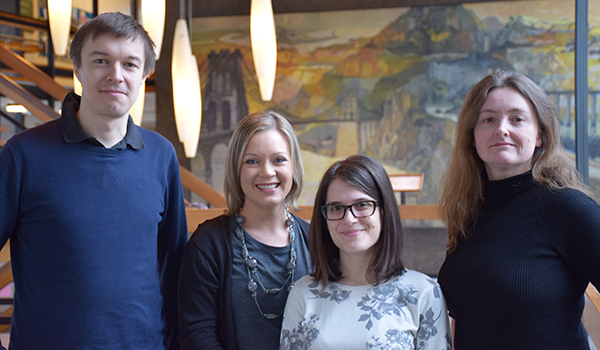 We will be talking to students from our BBSRC-funded doctoral training scheme in the next few days and encouraging them to join the project. Click here for more details. Dr. Wilma Groenwald, one of the founding researchers for the HSTB project, recently published a paper describing some of the precursor work to the project. The paper, which discusses the folding behavior of mycolic acids, is now freely available on ChemRXiv Revealing Solvent-Dependent Folding Behavior of Mycolic Acids from Mycobacterium Tuberculosis by Advanced Simulation Analysis. We hope to have Athina’s first papers with World Community Grid data available later in the year, and will keep you updated. Thank you to all volunteers for your support. Tuberculosis is one of the world’s most prevalent and deadly infectious diseases. Researchers from the University of Nottingham, UK, have partnered with World Community Grid to take a close look at the bacterium that causes tuberculosis, so that scientists can develop more effective treatments. Tuberculosis (TB) is one of the biggest global killers. In 2014, there were 9.6 million newly diagnosed cases and more than 1.5 million people who died from the disease. More than 1 million of these new cases, and 140,000 deaths, were estimated for children. The World Health Organization has declared TB to be the world’s deadliest infectious disease, along with HIV. To help combat this disease, my team and I are working with World Community Grid on a [new] project called Help Stop TB. TB is caused by infection from a bacterium known as Mycobacterium tuberculosis (M. tb). Typical symptoms of an active TB infection include persistent cough, fever, loss of weight, and night sweats. If the infection is left untreated, the bacteria are likely to cause increased damage to the lungs and spread throughout the body, which may ultimately lead to death. Treatment for an uncomplicated TB infection lasts more than six months and requires a combination of antibiotics. I am an associate professor in the Department of Chemical and Environmental Engineering at the University of Nottingham, UK. My team and I seek to improve the understanding, and therefore the treatment, of TB. To do this, we are excited to partner with World Community Grid and its community of volunteers to study and understand the protective outer coating of M. tb, and learn how to penetrate its defenses. In Help Stop TB’s first project update, researcher Athina Meletiou gives an overview of why this project is important and what the team is doing with the early data. Help Stop TB launched about four months ago, and the research team has begun the early stages of data analysis. We asked researcher Athina Meletiou to provide an overview of the project along with the first update, and to also tell us about how she came to be involved with Help Stop TB. 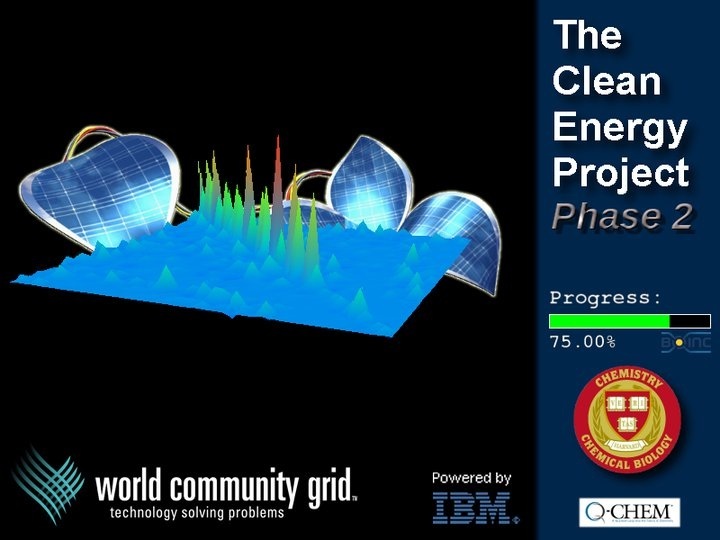 In the presentation below, Athina discusses the goals and importance of Help Stop TB, and gives us a behind-the-scenes look at what it takes to get a World Community Grid project ready to launch. Tuberculosis (TB) is one of the biggest global killers with the World Health Organization (WHO) reporting 9 million newly diagnosed cases and more than 1.5 million people who died from the disease in 2014. More than half a million cases were reported in children less than 15 years old. Within the Western world, the threat of TB has decreased through diligent treatment and containment, to the point where much of the general public does not regard this disease as a risk. Nevertheless, an increase in multi-drug resistant strains and a rise in HIV infection, combined with decreasing vaccination rates in some regions, has led to a resurgence in TB. Recently awareness of this disease has been raised through the annual commemoration of World TB day on March 24th. TB is caused by infection from Mycobacterium tuberculosis bacteria (M. tb). It is spread by droplets produced by sneezing or coughing of an infected person. After initial infection, if not cleared, the M. tb bacteria enter a dormant state, where they are able to evade detection from the body’s immune system. However, this means that the infection can reappear months or even years later. Typical symptoms of an active TB infection include persistent cough, fever, loss of weight, and night sweats. If the infection is left untreated, the bacteria are likely to cause increased damage to the lungs and spread throughout the body, infecting other organs. Such rampant infection may ultimately lead to death. Treatment for an uncomplicated TB infection lasts over 6 months and requires a combination of antibiotics. If treatment is not effective, or is terminated too soon, the bacteria become resistant to the drugs, followed by a spread of the infection if left unchecked. M. tb is a particularly old disease, with cases being identified from human burials from more than 4000 years ago, and evidence from fossilized bison that the disease is at least 17,500 years old. The disease was particularly endemic in North America and Europe from the 17th to 19th centuries and is it thought to have killed more people than any other microbial disease in history. Control of TB in these regions started to be achieved after World War II, with the mass acceptance of the BCG vaccine, combined with introduction of one of the first antibiotics effective against the bacteria, Isoniazid, in 1952, followed by another class of antibiotics, the rifamycins in 1957. Bacterial resistance against the drugs available to treat TB is on the increase throughout the world and is making TB treatment even more challenging. Currently around 500,000 diagnosed cases are of multi-drug resistant TB (in these cases M. tb is resistant to Isoniazid and Rifampicin). A more dangerous, extensively drug-resistant (XDR) form of TB, where M. tb is resistant to the other available drugs in addition to Isoniazid and Rifampicin, has been reported in 100 countries. As these drugs lose their effectiveness, the threat of TB infection worldwide rises. TB infection is a particular challenge in areas where Human Immunodeficiency Virus (HIV) infection is high, such as sub-Saharan Africa, and co-infection rates are estimated to be as high as 13% of the total cases. People who have both these diseases are far more likely to die, and have been harder to diagnose because of the lack of standard immunomarkers. Treatment with standard HIV drugs for patients with a latent TB infection can lead to severe complications, known as TB-immune reconstitution inflammatory syndrome (TB-IRIS), so early diagnosis and treatment of TB is critical. Mycobacterium tuberculosis is part of the family of mycobacteria. Other diseases in this family include bovine TB that infects cattle and badgers (M. bovis), avian TB, that can infect HIV patients (M. avium), leprosy (M. leprae), and Buruli ulcer (M. ulcerans). Mycobacteria have a highly unusual outer coat, which is important for their survival and provides protection from both incoming drugs and the host immune system. We know that changes to this outer coat can result in much less dangerous bacteria. Help Stop TB is specifically targeting molecules from this outer coat. What is special about the M. Tb outer coat? Most bacteria have an outer coat or membrane that helps to protect them from the outside environment. These membranes typically consist of a mixture of fats, sugars and proteins, all with different functions. In particular, the fats act as a barrier against water and other water-soluble molecules from entering the bacteria. M. tb and other mycobacteria have an additional layer of fats in their cell wall. These fats are 3-5 times longer than those from other bacteria and contain a highly unique chemical signature. These special fats are known as mycolic acids, and are the molecules of interest for this project. Mycolic acids and their derivatives are sometimes able to break free of the M. tb cell wall, and these free mycolic acids have been shown to initiate a variety of immune responses. More importantly, in HIV infected patients, they can activate alternative immune responses to those that are normally shut down in HIV infection, to give us a potential alternative way to identify TB exposure rapidly through blood tests. How mycolic acids can act as antigens (promoters of the immune response) is closely linked to how these molecules are able to fold, what shapes these folds take, and how tight these folds are. Part of the information that we are gathering for Help Stop TB will give us insight into this phenomenon. To create a database of mycolic acid structures, covering the different variations found in the naturally occurring molecules. To discover how these variations impact the way that these molecules fold – both in water and in more membrane-like (cell-wall) environments. To better understand the different effects mycolic acids and their derivatives have on the immune system. The specific goals listed above are ultimately a way of improving our understanding of how TB protects itself from drugs and attack from the host’s immune system, with the broader goal of developing strategies that evade these defences. Tuberculosis (TB) is one of the biggest global killers. In 2014, there were 9.6 million newly diagnosed cases and more than 1.5 million people who died from the disease. More than 1 million of these new cases, and 140,000 deaths, were estimated for children. The World Health Organization has declared TB to be the world’s deadliest infectious disease, along with HIV. To help combat this disease, my team and I are working with World Community Grid on a new project called Help Stop TB. TB knows no boundaries. Luckily, neither does the research team that seeks to shed light on the molecular mysteries of this disease. We have come to the University of Nottingham from various parts of the world to conduct research into a disease that has a large global impact. As a young girl in Australia, I was very interested in the chemical underpinnings of medicine and human biology. My mother was keen for me to become a physician, but I had my heart set on a career in science. I remember saying, “I will be a doctor, but not that kind of doctor.” I chose to study Chemistry and Biochemistry, and became a researcher in order to have an impact on the health of a great number of people. A few years ago, I was conducting research on mycolic acids, which are long fatty acids in the cell walls of certain bacteria, including M. tb. Through this research, I met Wilma Groenewald, who began studying TB while she was an undergraduate at the University of Pretoria in South Africa. There is a large population of TB patients in South Africa, including people with complex diagnoses, and Wilma began studying the disease to make a difference in the health of her home country. The Help Stop TB research team also includes Athina Meletiou, who is from Greece, and Christof Jäger, hailing from Germany, who provide expertise in computational modeling and molecular dynamics. Additionally, we are lucky to work with David Burgess, who is originally from Berkshire and will oversee the IT needs of the project. We all share a determination to build on the work of previous researchers as we take on a disease that has proved to be highly resistant to most drugs. Scientists have learned that M. tb, which causes TB, has a highly unusual cell wall made up of mycolic acids, which protects it from incoming drugs and from a person’s own immune system. Bacterial resistance against the drugs available to treat TB is on the increase throughout the world, and is making TB treatment more challenging. 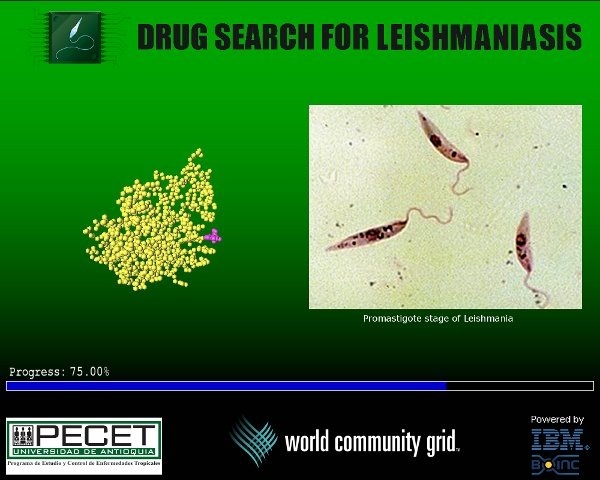 This resistance typically develops when patients don’t complete their long courses of treatment, which can take from six months to two years, giving the bacteria an opportunity to evolve resistance to the drugs that were used. Additionally, TB infection is a particular challenge in areas where HIV infection is high, because HIV patients can be susceptible to contracting TB due to their suppressed immune systems. The World Health Organization reports that in 2015, one in three HIV deaths was due to TB. By enlisting the help of World Community Grid volunteers, we plan to simulate different variations of the mycolic acid structures within the cell wall of M. tb to understand how these variations impact the functioning of the bacterium. This will help us develop a more complete and cohesive model of the cell wall, and better understand the role these mycolic acids play in protecting the TB bacterium. This basic research will in turn help scientists develop treatments to attack the disease’s natural defenses. 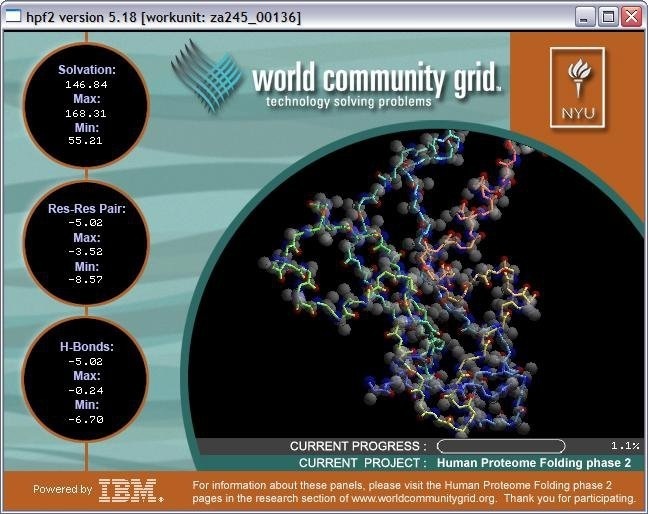 We would not be able to undertake the necessary big data approach to understand the structure of these mycolic acids without World Community Grid’s computational power. With access to this power, we can observe many different mycolic acid structure models instead of just a few. 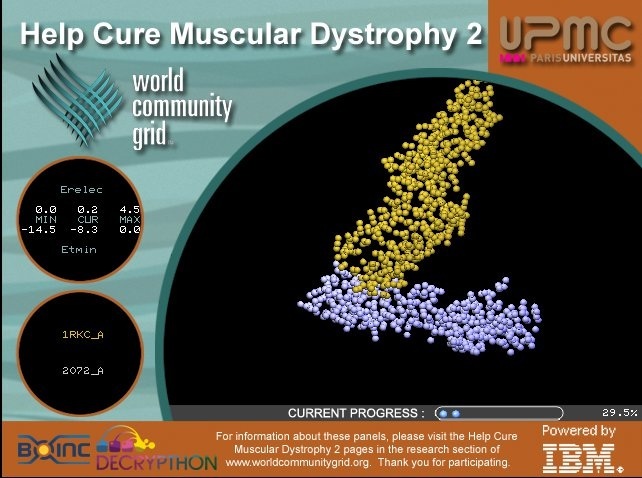 We hope you will donate your unused computing power to the fight against one of the world’s most widespread and deadly infectious diseases. 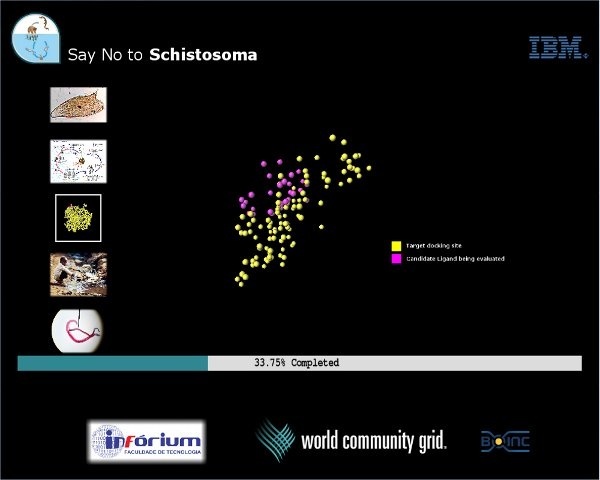 To contribute to Help Stop TB, join World Community Grid [link is below], or if you are already a volunteer, make sure the project is selected on your My Projects page.